Play Matamoscas with students using these Matamoscas Cards. There are 5 Cards with TENER IDIOM images. There is also an optional call card. 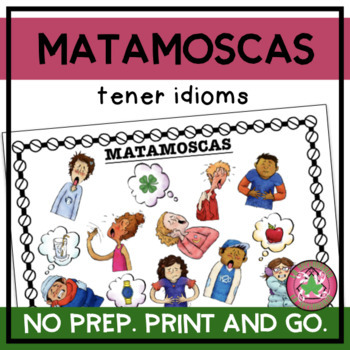 Use the MATAMOSCAS cards to give students more practice making connections with Spanish vocabulary. Students will get competitive as they race to find the images to match words.